The easiest way to update your bathroom? A bright pop of color. Blue is one of the most beloved (not to mention versatile) hues, and it's not hard to see why. With shades running the gamut from robin's egg and ocean to cobalt and navy, there is something for everyone and the possibilities are limitless. 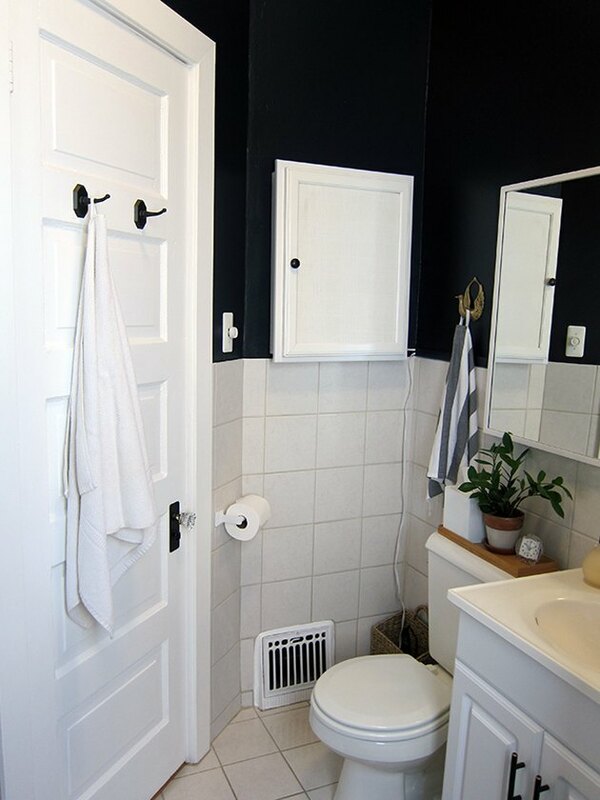 Besides, painting your bathroom blue can raise your home value by up to $5,400! So what's not to love? 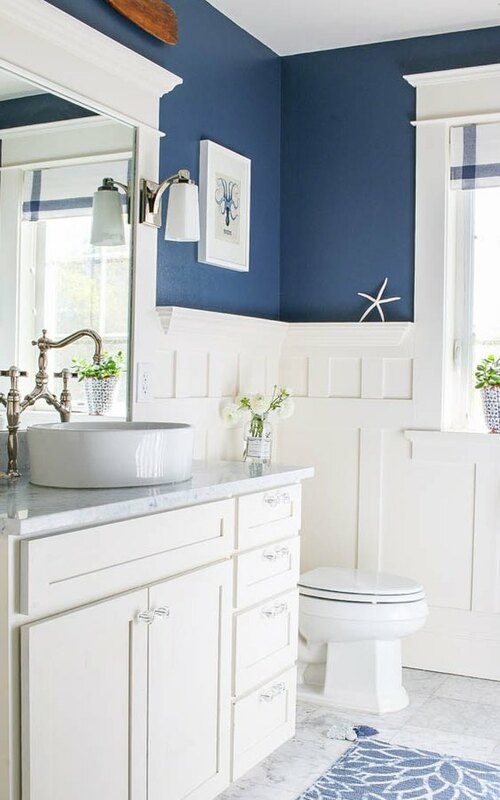 In an effort to inspire you further, we've pulled together a collection of 15 striking blue bathroom ideas that will make you swoon. 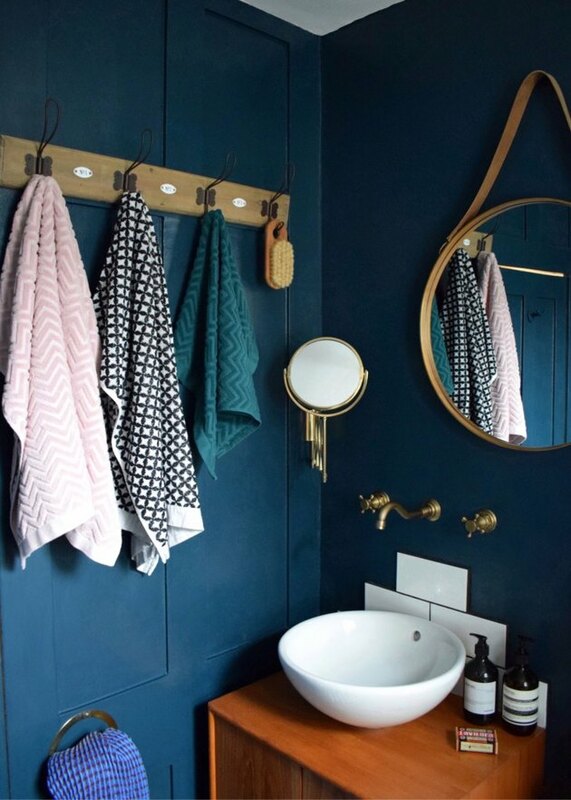 Ruthie, the London-based design blogger from Design Soda, gave her rustic washroom a dramatic revamp by pairing this rich shade of blue with antique brass fixtures and vintage details. This playful and bright midcentury modern-inspired design by Raili Clasen is one of our absolute faves. And thanks to the light wood used throughout, she was able to balance the cobalt neon hue, keeping it from becoming too overwhelming. We love the mix of styles in this Whidbey Island, Washington beach house. The icy walls, clawfoot tub, antique chandelier, and geometric tile strike a stunning — albeit unexpected — balance. All we can says is "wow." Where was interior designer Kristina Crestin when we were kids? 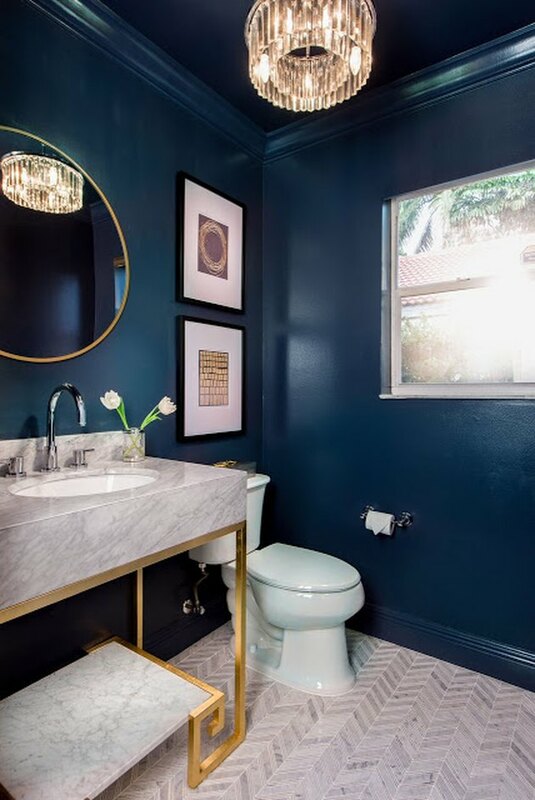 This blue bathroom idea is just as sweet as can be, complete wth framed animal prints, gooseneck faucets, and an adorable footstool. 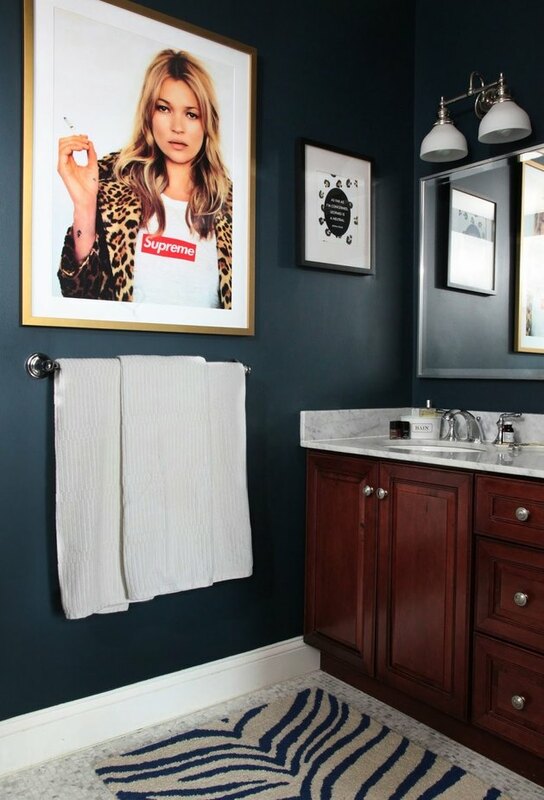 In this stylish bathroom belonging to blogger Robin Anderson, navy blue acts as the perfect backdrop for an oversize-framed print of supermodel Kate Moss. 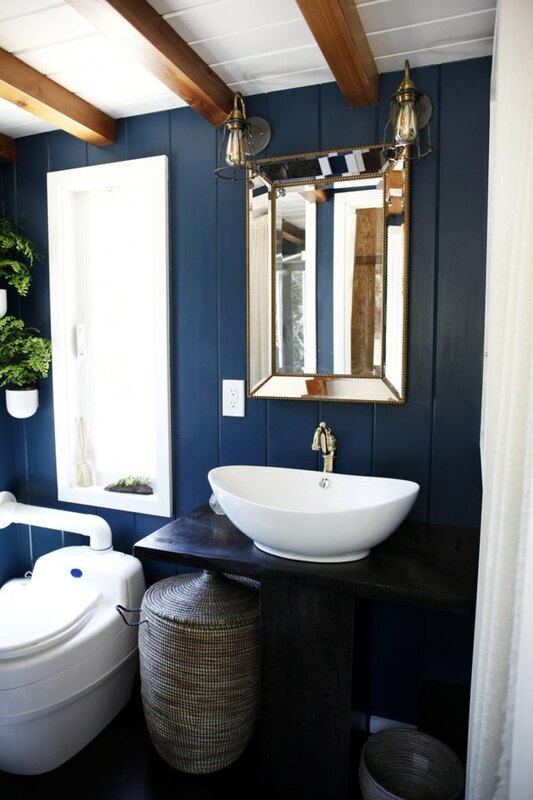 The vertical shiplap walls in this bathroom oasis, belonging to tiny house dweller Bela Fishbeyn, are swathed in a decadent hue that conjures images of the deep blue sea. Exposed wood beams on top of a white ceiling contributes to the breezy ambiance. 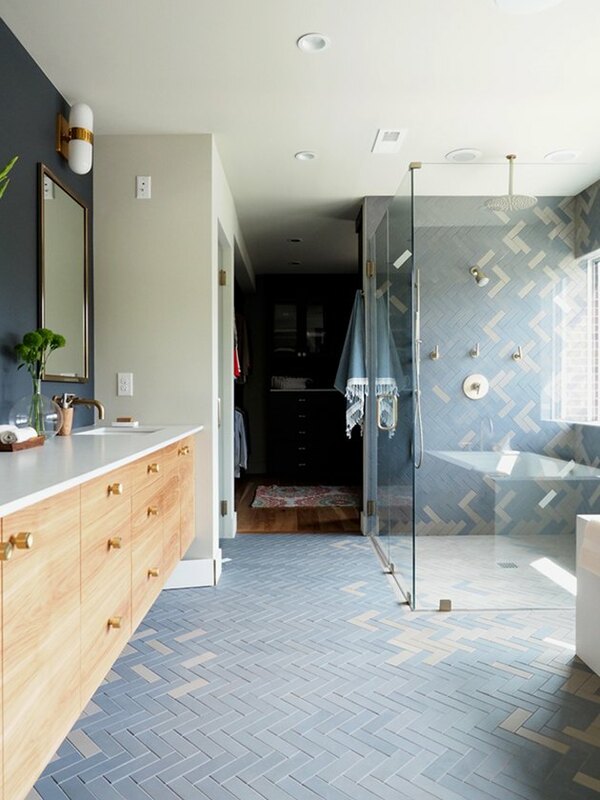 Navy creates a dramatic effect in this space designed by Nicole White from Live Laugh Decorate that's full of glamorous touches, such as the chevron floor tile and a glistening pendant. But the real showstopper is the marble and gold vanity. The bath in this California beach house designed by Rita Chan Interiors is the stuff summer dreams are made of. 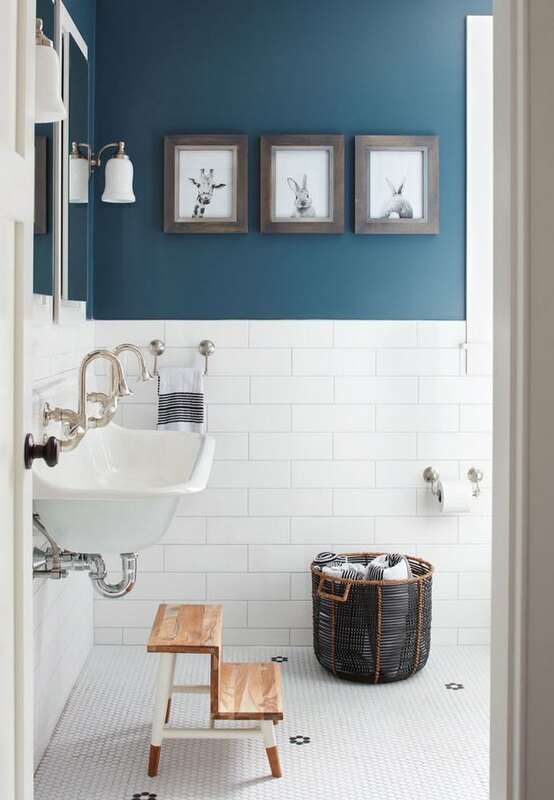 The gossamer blue trough sink really stands out among the crisp white shiplap walls, making the space feel much larger. 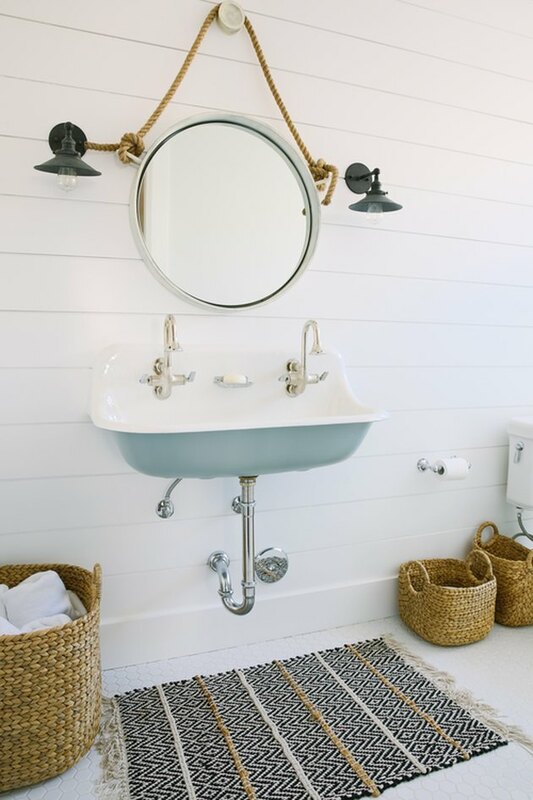 Woven baskets and a nautical rope mirror exude beach-chic charm. Take a cue from Robin Anderson and create a spa-like sanctuary with serenity-inducing paint and an artistic gallery wall. We're downright mesmerized by the stunning wainscot made from a mix of 1700s Delft ceramic tile in this Williamsburg bathroom designed by White Arrow. The vibrant blue doors and vintage pendant are just icing on the cake. 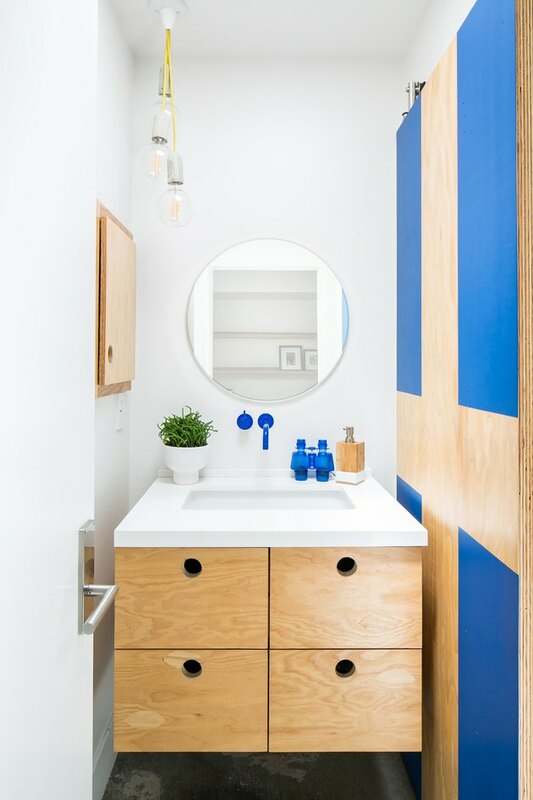 This kids' bathroom designed by Susan from Saw Nail & Paint has total refined beach vibes. The trick is to pair timeless elements — a classic color scheme, Carrara marble, and wainscoting — with playful coastal accessories. 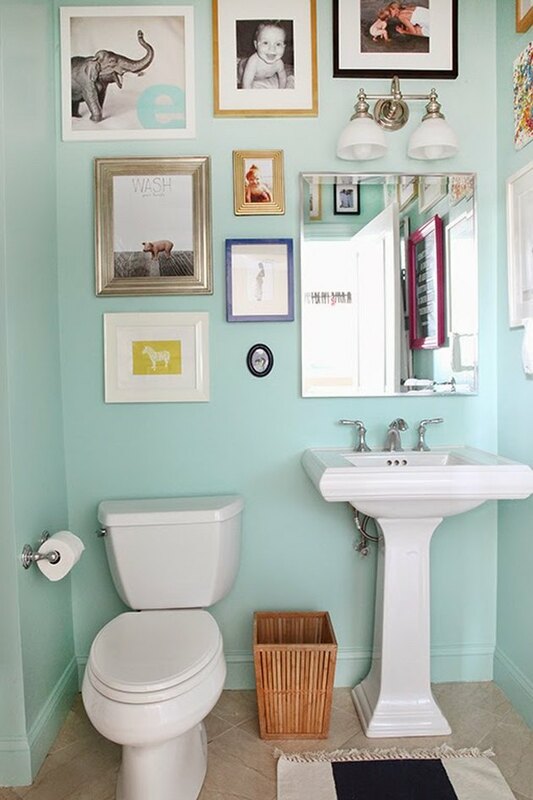 Raise your hand if you wish your bathroom looked like this one from the Sunset Idea House. The combination of light-blue herringbone tile with the light-wood floating vanity makes for a relaxing atmosphere with tons of charm. 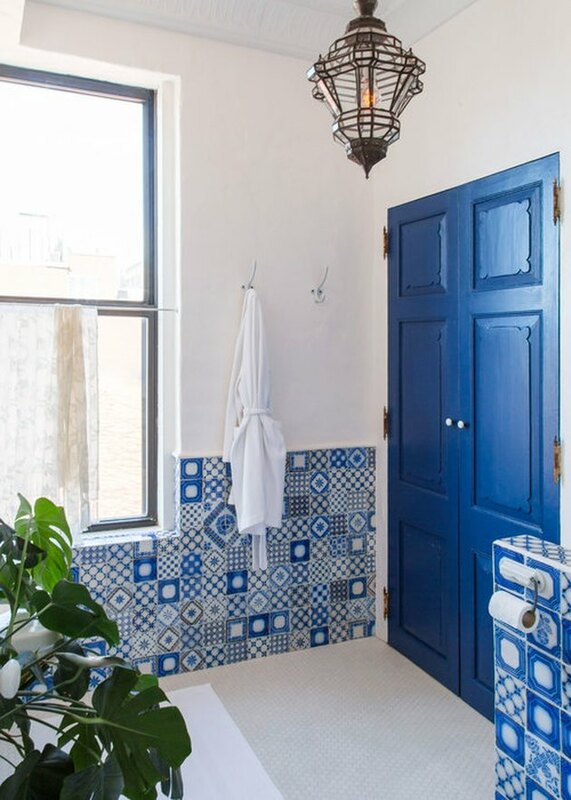 A perfectly balanced palette of dark blue-gray and white set the tranquil tone in this bathroom retreat belonging to Marti from Project Palermo. An antique brass wall hook and bronze cabinet hardware help to warm things up and enhance the sophisticated effect. 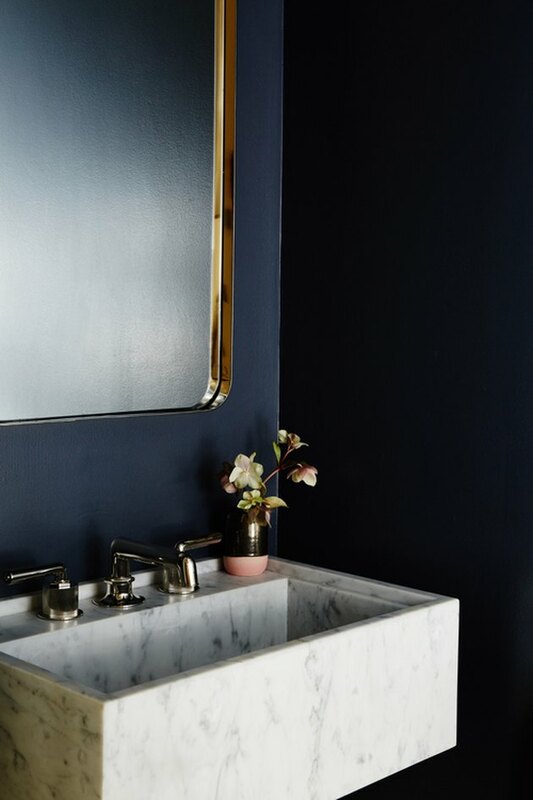 Rich blue walls and a wall-mounted marble sink make the ultimate statement in this bathroom designed by Studio Muir. And can we talk about the mirror? 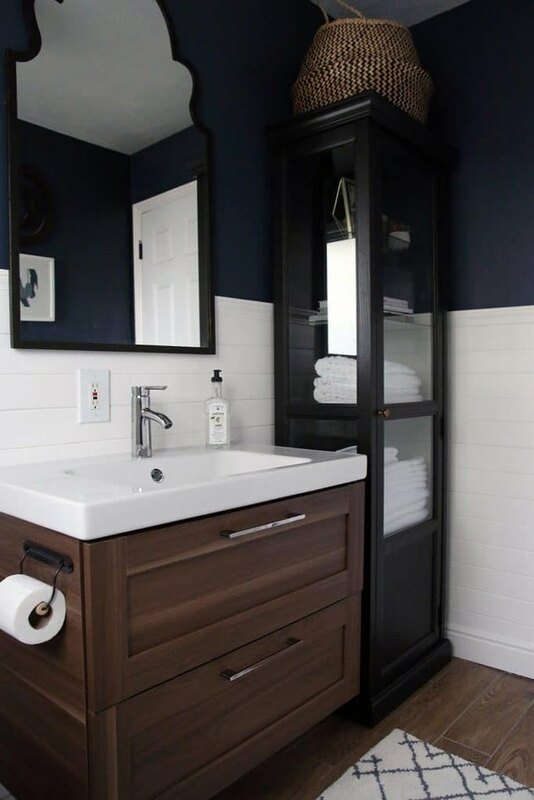 Deep navy and dark wood give this half-bath belonging to bloggers Chris and Julia a feeling of grown-up grace. 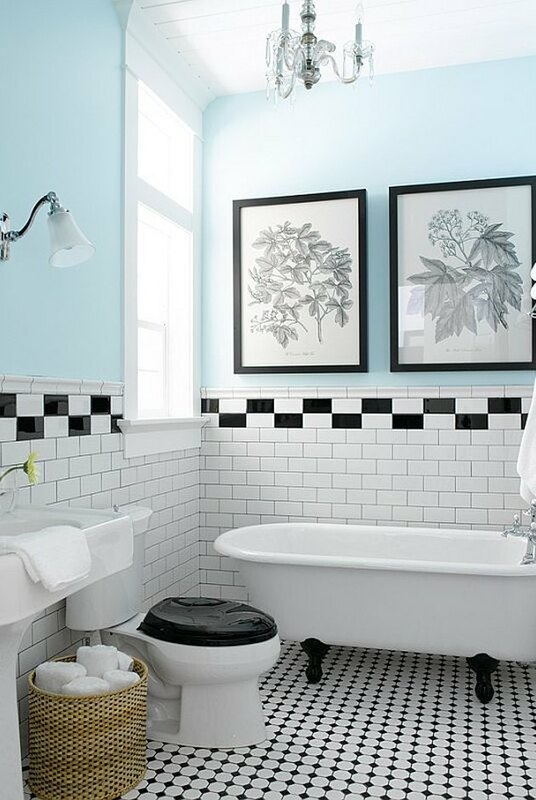 White subway tile offers a sense of visual relief.